We are recruiting a Head of Operations. To ensure a smooth work flow of our day-to-day operations of drivers and airport operations by successfully leading and managing our Operations and Transport team. 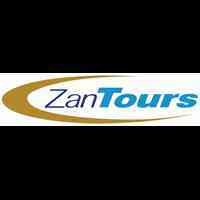 Become part of the leading Destination Management Company on Zanzibar! If you feel you are a good match to this role and meet our criteria, we look forward to receiving your application at [email protected]. Please include your CV and a motivational letter outlining your interest in this position and reasoning why you believe you would be a good fit.